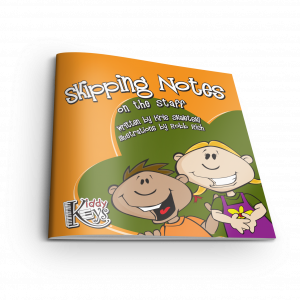 Charming stories for each lesson concept and all seasons of the year. 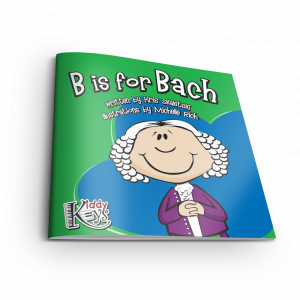 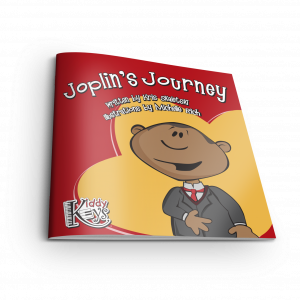 Join Skip, Melody, and Music the Dog as we play and learn about music and the piano together. 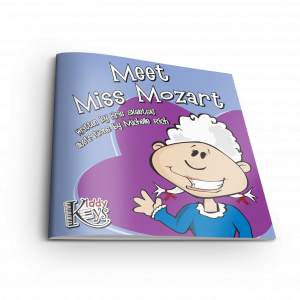 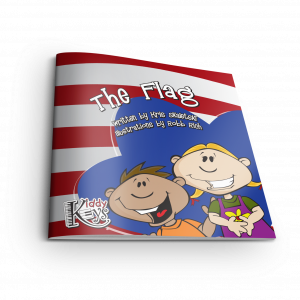 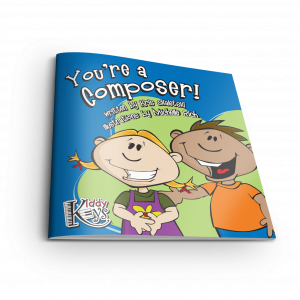 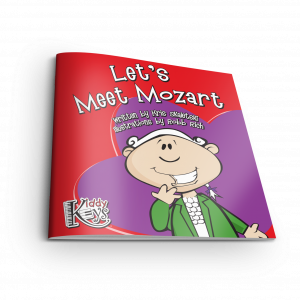 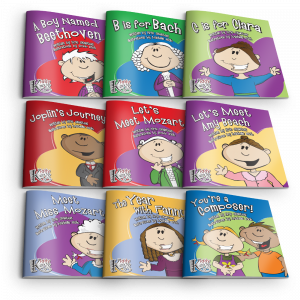 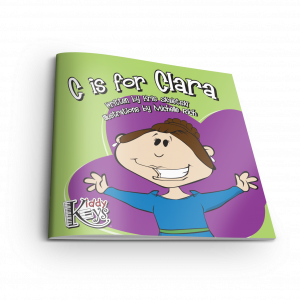 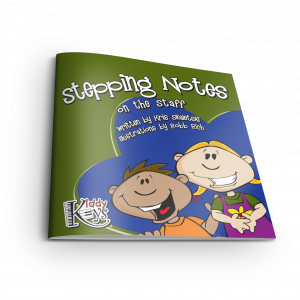 Saddle-stitched and printed on 8" x 8", high gloss paper, the KiddyKeys storybooks are loved by children and teachers alike!